Do you ever find yourself going out to eat at the same places with the same people? We at ImpactCR have something to get you out of your rut – Dinner in Nifty Eateries or D.I.N.E.! D.I.N.E. is a great way to get out and enjoy new or favorite locally owned restaurants unique to the Corridor. As with many of our events, it’s also a great way to network and meet new people! This Friday, D.I.N.E. 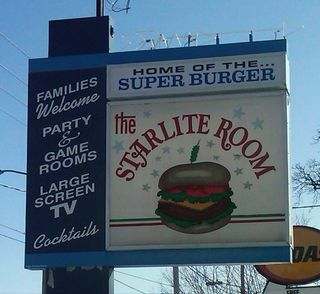 will be meeting at The Starlite Room at 6 p.m. Interested in having a fun, relaxing dinner before Halloween festivities begin on Saturday, or trying one of their world famous Super Burgers?! RSVP by 5:00 tonight by registering here. All are welcome, so please bring friends! Looking for something to do tonight? Stop by the National Czech and Slovak museum tonight from 6-7:30 for the Judicial Retention Forum! I’ll see you there!